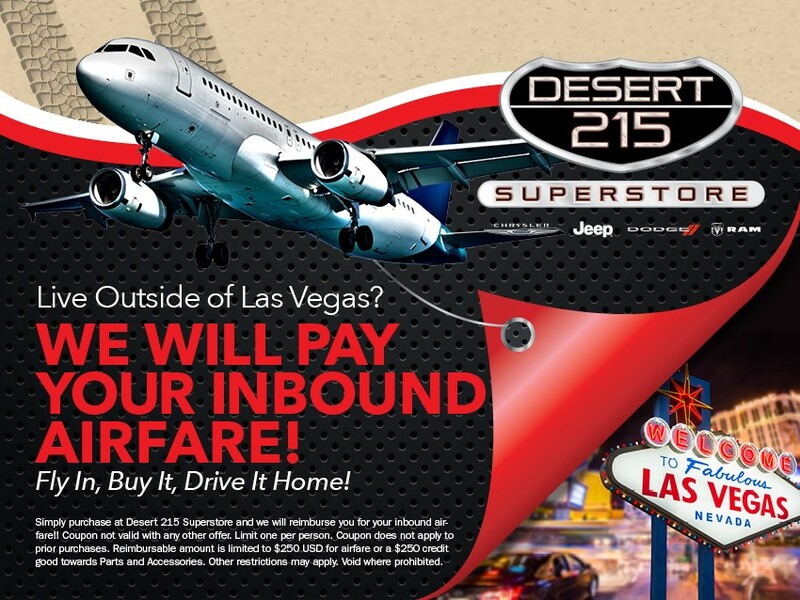 Simply purchase at Desert 215 Superstore and we will reimburse you for your inbound airfare!! Coupon not valid with any other offer. Limit one per person. Coupon does not apply to prior purchases. Reimbursable amount is limited to $250 USD for airfare or a $250.00 credit good towards Parts and Accessories. Other restrictions may apply. Void where prohibited.